CR Doors sells a verity of Quality Wood Doors, in all colors, makes and styles. The products we carry vary from the mid-range to very high-end doors, with a sufficient selection to satisfy anyone's style and budget. We take pride in the quality of the products we offer and the service given to our customers. 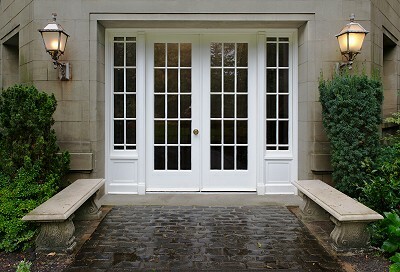 The first impressions are important so start with a grand wood entrance to your home. You have the freedom to select from hardwoods, custom glass wood doors and ornate iron, why not make a statement. Browse through our showroom for examples of quality wooden doors and Stain Glass we have created. Our showroom should give you some ideas of what we can do for you. Your possibilities in designs and colors are limitless.